Tired with pest infestation at home and unable to figure out how to get rid of these home pests? Pest infestation can be terrible and if not checked at the right time, it could multiply quickly. But did you know that there are quick and simple ways to deal with these common pests at home? Probably the best way to get rid of pest infestation is to hire a pest exterminator, but there are quick and simple ways to get rid of these pests. I have created this super compilation of top 45 pest control tips to help you deal with the common pests like mosquito, ant, lizards, spiders, cockroaches, termites and bedbugs. We may have to deal with various types of pest’s infestation at home; bugs like ants, mosquitoes, cockroaches etc are not uncommon. And that’s when we feel the need of an expert pest control service provide who can help you remove these pests. But it may not be practically possible to call an exterminator every time. And even when you get the pest treatment done at your home, you ought to be careful to ensure that pests are actually away and not returning anytime soon. If you are struggling in dealing with common pests and bugs, I am sure you have already scanned various pest control tips through different posts and articles. In fact we have shared several tips on dealing with various types of pests and bugs at home. Today, I am happy to share a super compilation of most effective pest control tips that can be implemented and followed easily on your own without issues. These pest control tips are proven and most of them are natural like using ginger, aloe vera, holy basil plants, coffee beans and other such natural ingredient that you may already have in your kitchen. For better understanding and usability, I am dividing these pest control tips in multiple sections. Depending on the types of pest you want to deal with, you can choose the treatment and repellents. Just be careful and give it some time because you may have to repeat the procedure a couple of times depending on the level of pest infestation. Isn’t it what pest control agencies recommend, multiple treatment based on kind of pest problem you may have? Plant holy basil (Tulsi): Tulsi is a plant that can easily repel mosquitoes. So, what you can do is plant a few Tulsi trees in your garden, or near the entrance of your home, so that no mosquitoes can even dare to enter your house. Clean stagnant water: If you have a big garden and you can spot some areas having stagnant water, especially during the monsoon season, then without fail clear it up. Mosquitoes lay egg and breed on stagnant water, so you’ll need to clean and clear stagnant water wherever you see it. Grounded coffee: Coffee ground is a very good natural mosquito repellent. All you need to do is ground some coffee beans and sprinkle it around stagnant water. The coffee grounds will provoke the mosquito eggs to come on the surface, which will obviously deprive the eggs from oxygen and they will die instantly. Cover the drains: Drains are always dirty and they bear stagnant water as well. So, it is quite certain that the open drains will give rise to mosquitoes, because they love stagnant water as well as the dirt in it. So, to get rid of the mosquitoes that breed in drain, you need to cover up the drains. Use window net: Nowadays, mosquito nets for the windows are easily available in the market. So, you can easily by them and stick them to the windows using a velcro. This will surely help you to keep the mosquitoes away. Burn camphor: If you feel that your room has too many mosquitoes, then close that room’s doors and windows, light a camphor immediately and leave the room; let it burn for half an hour. Enter the room after ½ hour, and you’ll find no more mosquitoes. Place a Beer bowl: It is surprising, but beer can serious drag away all the mosquitoes from the house. All you need to do is place a bowl filled with beer in your house, and you’ll see that all the mosquitoes are leaving your home immediately. Use essential oils: Essential oils such as Lavender oil, tea-tree oil, mint oil, citronella oil, eucalyptus oil and lemon oil can easily repel mosquitoes from your house. So, what you can do is buy an essential oil lamp and burn any of the oils mentioned here. You can burn the oils regularly, or you can just burn them only when you find plenty of mosquitoes in your house. Next in the list are ants. Ants are commonly found in the kitchen, near dining table and around the center table. 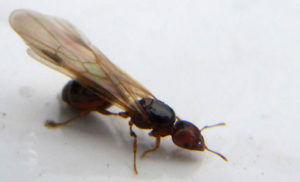 Here are the best pest control tips for ants removal from your home that you should try to keep them away. Wipe with Essential oils: Essential oils like peppermint, clove, tea tree, lemon or orange essential oils can reduce ant’s infestation in your home. But in this case, the process of using essential oils will be different from killing mosquitoes. In this case, instead of burning essential oils, you’ll need to dip a cotton balls into any of these mentioned essential oils and then wipe the baseboards and other entry point for the ants, so that they don’t enter anymore. Use white vinegar: If you want to repel ants out of your home, then you can use another natural ingredient, and that is vinegar. Just like essential oils, ants also dislike the odor of vinegar. So, what you can do is mix one part vinegar to one part water, and mix the solution properly. Then shake it and spray it in every corner of your house where you see ants, or spray it over the entry point from where ants invade. Use Chalk: Chalk is used widely in every house (especially Indian houses) to kill ants. It is said that the minerals in a chalk, such as ‘talc’ can easily kill ants. So, what you can do is draw lines with the help of chalk at every corner of the house, where you know has got severe ants infestation. Use mixture of Baking soda and powdered sugar: Another way to kill ants is by simply cheating on them. Just mix 1 part baking soda with 1 part sugar, and place it in a plastic lid set over places where they roam the most. The ants will easily get attracted by the powdered sugar and they’ll no doubt eat that mixture happily; but the baking soda will soon react inside their body and kill them. So, that’s how you can cheat on them. Feed them Cornmeal: Cornmeal is another natural way to kill ants. Just take some cornmeal and spread it near the areas where they dwell. The ants would carry the cornmeal to their nest and feed on it. But since they can’t digest the cornmeal, they’ll starve to death. Keep house clean: The best way to keep spiders away from home is by cleaning the home thoroughly and regularly. You need to vacuum, dust and de-clutter you home regularly, in order to make sure that there are no dirt, dust, or spider webs in any corner of the house. Spray vinegar: Just like ants, even spiders hate the smell of vinegar. So, what you need to do is add one part of vinegar to one part water; shake it well and then spray it over the cracks and crevices of your home. Spray Peppermint oil: You can also use peppermint essential oil to repel the spiders. All you require to do is add 1 part of mint oil to 1 part water and spray it in every corner of your room, or where ever you find spiders and their webs. Rub Citrus peel: Another very effective way to repel spiders from home is by rubbing citrus peels over those areas where the spiders stay, or have made webs. Place Chestnut: An interesting way to drive away spider is by using chestnut. Just place a few chestnuts on the windowsills or along the baseboards, and you’ll find no more spiders from the next day. Use Tobacco: Another interesting yet weird way to keep spiders away from your home is by using tobacco. All you need to do is sprinkle small pieces of tobacco where the spiders hide or have made webs. Another way to repel spider is by using tobacco soaked water. You just need to soak tobacco in water, and then pour that mixture in a spray bottle and spray it in every corner of your house, which is effected by spiders. Utilize the Egg shells: Lizards simply hate the smell of eggs. So, what you can do is don’t throw away the egg shells after using the egg for cooking purpose. Instead, use the eggs shells by strewing them around the house, especially your windows and doors. This method will repel lizards for sure. Use garlic: Lizards also hate the smell of garlic, and wouldn’t even dare to enter your home if they smell garlic. So, what you can do is either hang garlic near the entry points of lizards, or else just paste garlic until it becomes watery, then mix it with water, and finally spray it all around your home to repel the lizards. Pepper spray: Pepper spray can easily repel lizards, so why don’t you use pepper spray? You need not buy a pepper spray at all to repel lizards, when you have a method to make it yourself. Simply mixing water, black pepper, and red chili powder, fill this mixture in a bottle, shake it well, and spray it at every corner where lizards are visible. They hate the spicy odor, so they have to repel. Onion: Hope you know that onions too have a pungent smell like garlic, so the lizards would definitely hate the onion’s smell too. So grind an onion and make it into a fine watery paste. Then mix that juice with water and spray it around your home to repel spiders. Splash cold water: From now onward, whenever you see a lizard on the wall, you need not go to bring your broom or go to prepare a pepper spray, instead splash ice cold water over them. Lizards are very sensitive to temperature, so when you splash ice cold water over them they become immobile due to the sharp change in temperature. So, splash cold water to keep lizards away from home. Naphthalene: Lizards simply hate naphthalene as well because of its strong smell. So, you can undoubtedly place naphthalene in your cupboards, wardrobe and cabinets, and the smell will circulate within the house and repel the lizards. You may not get the smell of the naphthalene when placed inside the cupboard, but the lizards would definitely get the smell. Use Borax: Borax can easily kill cockroaches, and there are several ways to use borax to kill cockroaches. But, the best way to use borax is by mixing it with flour and sugar (1:1 ration), and with a little bit of water. Mix them together and form dough, and them make a few tiny dough from that big dough and place them near places where the cockroaches dwell. The cockroaches will eat the dough and die. Make a Petroleum jelly trap: Yes, petroleum jelly can easily trap and kill the cockroaches. Thinking how? Well, all you need is a cardboard, some petroleum jelly, and a bait. Apply petroleum jelly to the cardboard box and place a bait in center of the cardboard. The cockroaches will get attracted to the bait, but when they go to have it they unfortunately stick their legs in the petroleum jelly. It is very hard for cockroaches to get rid of petroleum jelly, so they stay stuck there and ultimately die. Place boric acid: Boric acid can also repel cockroaches; so, what you can do is place boric acid on top of a kitchen cabinet. There are high chances that these pests will carry boric acid to their nest, which in return would kill their other family members. Sprinkle Bay leave: Cockroaches cannot stand the fragrance of bay leaves. So, what you can do is take a few bay leaves and sprinkle it around those areas which are prone to cockroaches. It is a guarantee that cockroaches will never come back to your home. Use Catnip: Catnip is another good cockroach repellent. The natural chemical in catnip can easily drive cockroaches out of your home. The best way to use catnip is by boiling it and making a tea like substance out of it. After you prepare the tea like liquid, pour it in a spray bottle and spray it in every location where you feel cockroaches dwell. Place garlic cloves: Cockroaches hate the pungent smell of garlic. So, what you can do is place garlic cloves near those places where these pests linger, or where they hide. They hate the smell of garlic, so I can assure you that they will leave your house. Keep you bedding clean: To keep bedbugs away from your bed, the first and foremost thing that you’ll have to do is clean your bedding. Regularly dust your bed sheets after you wake up and before you go to sleep. Keep vacuuming your mattress as well because it is the main place where bedbugs create their nests. And lastly, don’t let moisture get deep into your mattress because bedbugs love to stay in moisture. Essential oils: In case of bedbug infestation, essential oils such as lavender and tea tree oil can be really helpful. All you need to do is spray either of these essential oils over your bed sheets and mattress. After doing this place the mattress and bed sheet under the sun so that the moisture from the essential oils doesn’t remain intact attracting severe bedbug infestation. Keep the bedding under sun: Bedbugs cannot tolerate heat at all, so what you can do is place your bedding stuff under the sun, so that the bedbugs get killed easily. Place the effected bed sheet in dryer: If you feel that your bed sheet or pillow covers are infested by bedbugs, then take them and place them inside a dryer at a very high temperature for at least 15 minutes. As we have already said that bedbugs can’t survive heat, so it is obvious that they’ll die if you place them in a dryer at high temperature. Spray rubbing alcohol: Another way to get rid of bedbugs is by spraying rubbing alcohol. Usually rubbing alcohol is used on our body, where ever the bugs have bitten. But, you can also use it by spraying the solution over those areas where the bugs thrive. Termites are that one pest that can ruin all your expensive wooden furniture and anything which is made of wood. There are many chemical based products available in the market to kill termites. But, its possible to deal with basic termite infestation using all natural products. Here are the best pest control tips for termite removal. Inject orange oil: If you want the best natural remedy to deal with termites, then nothing can be better than orange oil. Orange oil is made from orange peel extract, and is really effective on termites and many other pests. So, what you need to do is drill holes in the area which is infested by termites, and then inject orange oil into those holes. This will help you to get rid of termites within just three weeks. Make cardboard traps: If you think that termites just feed on wood, then you are wrong; they feed on paper and cardboard as well, which are made of cellulose. So, what you can do is make cardboard traps. To make a cardboard trap all you need to do is wet your cardboard box and place it near the place of infestation, then you’ll see that all the termites are attracted towards it. When you see that the cardboard is filled with termites, just wear gloves take that piece of cardboard and burn it immediately. Repeat this process unless all termites are killed. Use boric acid: Another very effective way to kill termites is by using boric acid, because it can completely damage the nervous system of termites. And for that, all you need is boric acid and water. Mix boric acid with water and apply it on the infested wooden surface using a brush, to get rid of these creatures. But do wear a mask and gloves while handling this solution. Apply aloe vera gel: Termites can be killed using aloe vera gel as well. Just take an aloe vera plant crush it, and keep it inside a container with water over it. Then whenever you want to just kill termites take one part aloe vera and five parts water, and spray it on the affected area. Spray essential oils: A few essential oils such as clove oil and vetiver oil can also kill termites. Simply pour any of these oils in a spray bottle, and directly spray it over the termites, or the affected area. It’s easier to keep pests like cockroaches, ants, lizards, spiders etc away from your home using some of the natural ingredients that we use daily at home. All that you need to know is how to use these ingredients in right way and make your own pest repellent. These pests control tips can actually help you get rid of all types of pest at your home, kitchen and in the living room. Feel free to try them at your home and share your experience in dealing with pests. If you know about other effective ways that can help us eliminate pests easily, feel free to share it by commenting below.